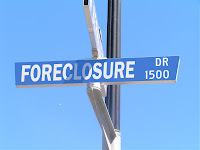 Tag Archive | "AMIR EFRATI"
It’s been about nine months since several federal judges in Ohio issued the widely-read amir foreclosure dismissals that shined a light on sloppy paperwork done by companies that specialize in handling foreclosures. “Backdated” mortgage assignments: Assignments, documents that transfer ownership of the mortgage, are executed after the foreclosure process has begun but state that they are “effective as of” a date prior to the foreclosure action. Some judges are dismissing those cases, saying attempts to retroactively assign the mortgage aren’t valid. Suspicious multiple hats: Employees for mortgage companies are signing affidavits stating they are employees of one company, but other mortgage documents say they work at another firm. In some cases, an employee claims to work for companies on both sides of a transaction, prompting one skeptical judge to ask for that person’s work history for the last three years. Shared office space: In foreclosure filings, one judge has found that numerous mortgage-related companies, including units of Wall Street banks, all claim to share the same address: a suite of a West Palm Beach, Fla., building. “The Court ponders if Suite 100 is the size of Madison Square Garden to house all of these financial behemoths or if there is a more nefarious reason for this corporate togetherness,” the judge wrote in a recent decision. Brooklyn Crusader: The judge making Madison Square Garden references is Brooklyn’s own Arthur M. Schack (pictured) of Kings County Supreme Court, who has dismissed dozens of foreclosures sua sponte because of shoddy documents or suspicious patterns he notices in the filings. Schack, 63, a former counsel to the MLB Players Association who is known for peppering his rulings with pop culture references such as Bruce Willis movies, says barely any of the foreclosures he has denied eventually are completed.